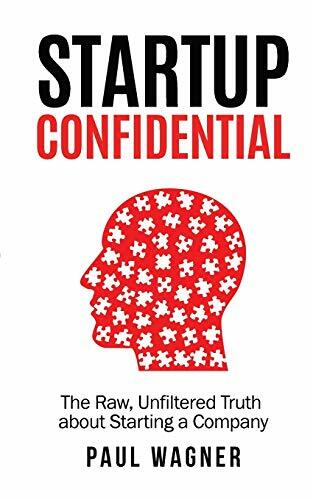 STARTUP CONFIDENTIAL is a brash and humorous look at the What, Who and How of launching your Big Idea. Written by EMMY® Award Winning comedian and startup addict Paul Wagner, this book is funny and intense, akin to swallowing a pill the size of your nephew. Packed with meaty facts and figures, the book digs into the human aspects and the gut-wrenching stories that make startups such profound experiences. There is no other book like this one anywhere. It's a game-changer. Paul Wagner is a startup and executive consultant. He's been called, "The Best Event in Reebok History!" Paul's poignant and funny lectures about startups and corporate culture bring the house down. They're brash, bold and built to enlighten. Visit StartupConfident.com and CreativeLab.TV to learn more. "The Psychology of Startups, and all the humor that goes along with it.!"